Get your hen night venue ready for the party with these pretty Hen Party Printed Balloons. Add a splash of colour and fun to the evening with these fantastic decorations. They're perfect for every hen do! 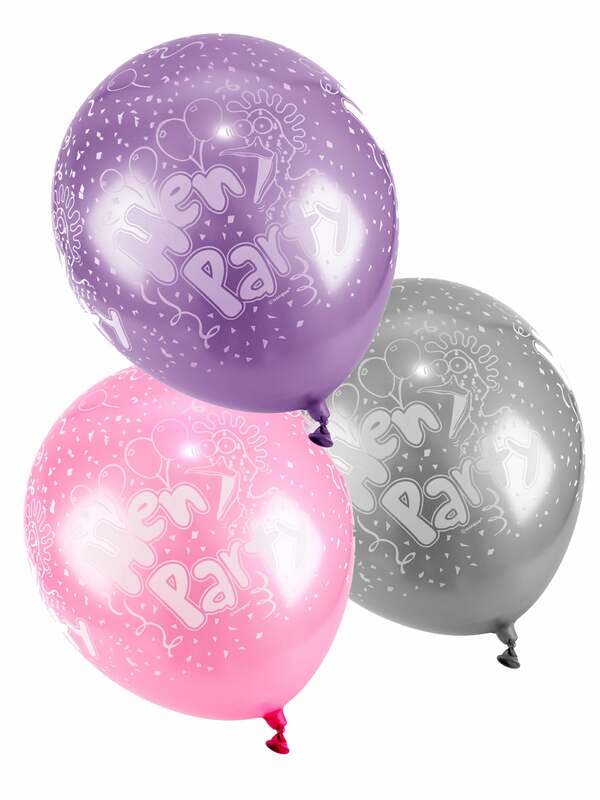 These wonderful balloons come in a pack of 5 and are pink, purple and black with 'hen party' printed on them in a fun font. Why not add some bunting or a banner to really liven up the venue?